Lord John Russell was prime minister for over six years, from 1846 to 1852 and from 1865 to 1866. He also led the government in the House of Commons for a further eight years during the premierships of Viscount Melbourne and the Earl of Aberdeen, who both sat in the House of Lords. He was the major influence on the Liberal party for two decades after the 1832 Reform Act, but eventually lost ground to his rival Viscount Palmerston. Russell, a younger son in a grand Whig aristocratic family, was educated to follow the political principles of William Pitt the Younger's great rival, Charles James Fox (1749-1806). Born prematurely, Russell remained small and puny, but read and wrote voraciously – mainly history and literature. He was an MP almost continuously from 1813, aged just 21, until he accepted a peerage in 1861. In the 1820s he actively urged Parliamentary Reform and was one of the ‘Committee of Four’ chosen to draw up what became the 1832 Great Reform Act when the Whigs finally ended decades of opposition and formed a government in 1830. He became a leading influence on the Whigs’ policy as they developed into a ‘Liberal party’ in the 1830s. He advocated cooperation with the Irish leader Daniel O’Connell and conciliation of Catholics through Irish Church and institutional reform – a policy which divided and radicalised the party in 1834-5. As Home Secretary after 1835 he reformed the criminal law, and as a result executions only took place for murder and high treason. He promoted the Education Act of 1839, which introduced state inspection of schools and seemed to threaten the Church of England’s privileged position in British society. Hostility to the Whig government’s Irish and British religious reforms contributed to its defeat at the 1841 election. 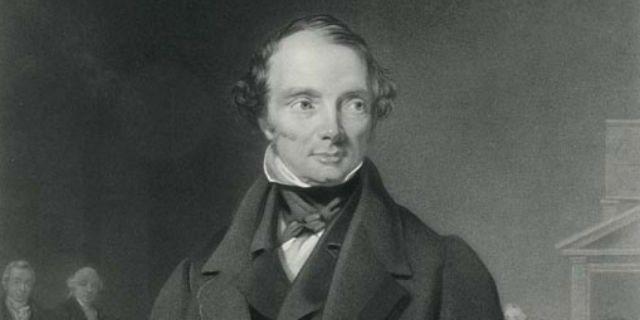 Russell became Prime Minister when Sir Robert Peel’s Tory government fell apart in 1846. However, he lacked a sound parliamentary majority before and after the 1847 election. He hoped for the support of Peel and his followers, as well as of Radical MPs. It was not easy to get either consistently, because the economic depression and political tensions of 1847-9 at home and revolutions abroad made for volatile politics in Britain. Russell’s government acquired a reputation for weakness, especially in economic policy. He had to compromise significantly on the social and Irish reform that he wanted to be his legacy, though Acts of 1847 and 1850 imposed a limit on working hours in factories, state grants to schools were significantly increased in 1847, and the 1848 Public Health Act forced localities to tackle sewerage and drainage. His hopes of further conciliating the Irish Catholics were destroyed by the Irish Famine, the pressures from within Britain to adopt a hard-headed attitude to the relief of poverty, and his own badly judged attack on papal interference in British affairs when the Pope established a Catholic hierarchy of bishops in England in 1850. Russell was shy, vain and uninterested in cultivating the rapidly expanding media. This impression of aloofness and elitism added to the criticisms of his premiership. He could not compete with the popularity that his Foreign Secretary, Lord Palmerston, won for his vigorous, assertive and fashionably liberal foreign policy. Soon after Russell sacked Palmerston in late 1851, the latter joined the opposition and defeated Russell’s government by leading the attack on its Militia Bill, which he condemned as an inefficient response to the threat of aggression by France following Louis Napoleon’s coup d’etat in December 1851. Palmerston and Russell then jockeyed for position through the 1850s. Russell, who now advocated further parliamentary reform, retained the loyalty of many Liberal and Radical MPs, but Palmerston had broader support in the Commons. Russell served as Foreign Secretary in Palmerston’s second government, and became Prime Minister again on Palmerston's death in 1865. Determined to secure his legacy by passing another Reform Bill, he was frustrated by reluctant Liberal MPs, and resigned when his bill was defeated in 1866, only for a more radical Bill to be passed in 1867.